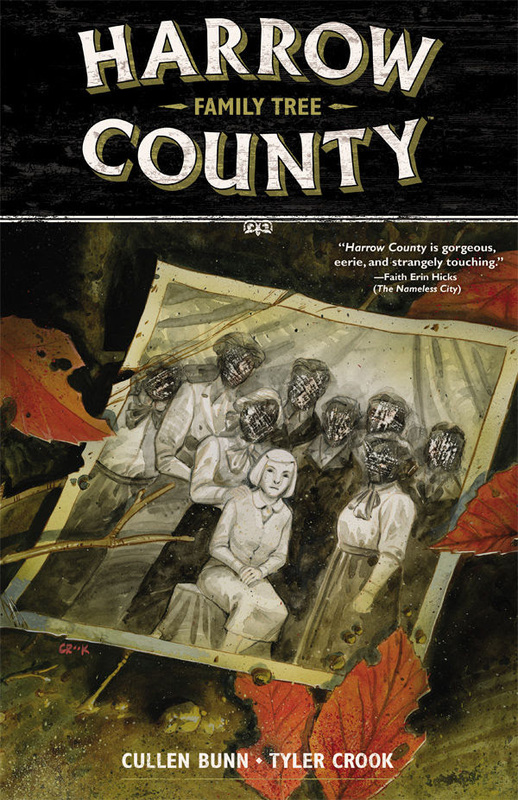 Dark Horse is proud to announce Harrow County is a 2016 Ghastly Awards winner for Best Ongoing Title, Best Writer (Cullen Bunn) and Best Artist (Tyler Crook). The comics series, which first launched in 2015, is a southern gothic horror tale created by Cullen Bunn and Tyler Crook. The story tells of the young girl Emmy, who has a mysterious connection to the deep, dark woods surrounding her home that are crawling with ghosts, goblins, and zombies. The comics series continues to receive high praise and is consistently recognized on many best-of end-of-year lists. Harrow County is also currently in development for a Universal Cable TV series. The Ghastly Awards are named for acclaimed comics creator “Ghastly” Graham Ingels, the Awards are in their 6th year. Created to honor excellence in Horror Comics, Comic Creators and Publishers can submit their books for nomination consideration throughout the calendar year. The top five nominees in each category will are chosen by the Judges, and then voted on by the Judges, Creators, Publishers and Fans to decide the winners.